Rights are hereby given to reprint this article provided you acknowledge (a) the author’s website www.RevelationMovement.com and (b) the author’s forthcoming book The Book That Made Your World as the source of this essay. Net income (Federal Taxes) --- $128.179 billion! Out of this $120 billion went for domestic liabilities (Social Security - $49.8 billion + Medicare – $47.4 billion + Medicaid - $22.575 billion). By “selling” new “Securities,” the Federal Government borrowed six times its income ($786.5 billion) simply to repay earlier loans (705.3 billion) called Securities. Bowles was telling America what prophet Elijah told Ahab (Israel’s king): It is certain that off shore winds will no longer rain prosperity upon our land. People are realizing that, like Greece, America can no longer repay its debt without getting into greater debt. So what will the US do? Raise Taxes and drive businesses away from America? Slash Pentagon – follow Russia and cease being superpower – economic as well as military? Print dollars and inflict inflation on the poor? Devalue dollar and destroy the world’s confidence in capitalism? Declare Bankruptcy and cheat its lenders? Go to war as did Hitler? If the birthplace of Protestant Reformation – Germany – could be captured by supernatural powers to produce the 20th century anti-Christ, could the same forces or entities turn the most religious nation on earth into the 21st century Kingdom of the Beast? In Avatar, James Cameron explores that plausibility. There is, however, another option: on Mount Carmel, Elijah urged Israel to repent and return to her Foundation – the Truth. Bowles is not alone in predicting that it will stop raining. The famine will follow. In March, before the Treasury Report, the TIME magazine and CNN’s Fareed Zakaria expressed similar fears. The drought and the famine will hurt, but they could lead to a new quest for truth, repentance, and a new birth. Can America rediscover the historical truth about its own greatness? What created America’s character, freedoms, inventiveness, trustworthiness, economic and institutional success? What made it a light to the nations? These are questions explored in “The Book That Made Your World: How The Bible Created the Soul of Western Civilization.” (Thomas Nelson). My book is already selling on Kindle and will be launched formally in Atlanta on April 21 (see below). A book that needs to be on your "must read" list! The condition of a society, good or bad, is the outflow of communal character—of what the usual citizen is prepared to do as if it were obviously right, and is prepared to sacrifice for if necessary. That communal character, in turn, arises out of a system of ideas and beliefs about what is real and what is good. The system of ideas and beliefs that gave rise to and sustained the “Western” world has its unique source in the Bible and in traditions arising out of it. Devotion to truth, to the common good and to the good of every individual, and—within that framework—freedom to live as one chooses, has never in world history had another foundation than the Bible. Look and see. The failure of contemporary education and intelligence is nowhere more manifest than in the appalling ignorance of “leaders” about the true foundation of our ideals and practices of public order and private well-being. With solid, detailed information, clarity of presentation, and logical force, Vishal Mangalwadi enables anyone willing to see how our “Western” world depends entirely upon what the Bible, and it alone, teaches about reality and how to live. We must be aware of that dependence, and of the manifold follies of well-meaning people who, for around two centuries now, have tried to set the Christian outcome upon a secular or non-Christian basis. At this point our institutions are lost. It is time for the prophet. Here we have one. 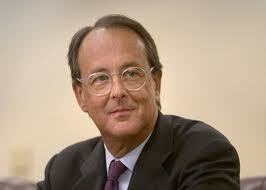 "This is an extremely significant piece of work with huge global implications. For too long now the West has flirted with a Naturalistic worldview that has jeopardized the most sacred aspects of life and living. If the trend to debunk the Bible continues in halls of learning and in institutions that shape Western culture the cost will be that of self-destruction. Vishal therefore brings a timely message and shows how profoundly and meaningfully the Bible does have the prescription for bringing healing to the nations that have never known human dignity or social, economic, and political freedoms." Hugh Maclellan Jr., Executive Chairman, The Maclellan Foundation, Inc.
"The Book That Made Your World reinforces my 8-year-old assessment that Vishal Mangalwadi understands America better than our own leaders do." "Vishal Mangalwadi recounts history in very broad strokes always using his cross-cultural perspectives for highlighting the many benefits of biblical principles in shaping civilization." "This is a highly accessible intellectual history, part spiritual autobiography, part prophetic warning to the declining West. Mangalwadi's perspective is that of a widely-read Christian from the 'Global South.' From it he provides a sober, unflattering assessment of our identity crisis, showing how it results from an under-nourished, severely atrophied world-view, increasingly divorced as we are from the biblical foundation that once gave us both coherence and a self transcending sense of purpose." "After the seismic shocks of the recent financial crisis (the after effects of which are still unknown) I know no other book I would rather have anyone read. Not since Francis Schaeffer’s ‘How Should we then Live?’ in 1977 have we had so lucid and far-ranging an explanation of what troubles the global community. The author’s scholarship and intellectual penetration are everywhere apparent, yet never at the expense of a simple, straightforward and even disarming narrative. I can’t recommend it too highly." 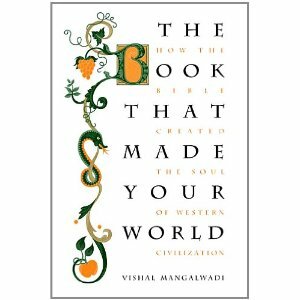 "Vishal Mangalwadi touches on many of the ways in which the Bible has so decisively influenced every aspect of Western Civilization, richly illustrated from his own experiences and observations." "A small change in direction could have altered the Titanic’s fate. Many are seeing the West headed towards catastrophe, but this highly readable, Eastern overview of our history could reshape our future." "This book is well overdue! If there is one book that has shaped Europe's art, architecture, commerce, education, ethics, family life, freedom, government, healthcare, law, language, literature, music, politics, science, social reform and much more, it is the Bible. Yet Biblical illiteracy is almost universal in Europe today. Ignorance or prejudice has kept the Bible out of school curricula at all levels—with serious consequences. We need Vishal's clear, prophetic, Eastern voice to jolt us back to reality before our rich biblical heritage slips beyond our grasp." "An intriguing and necessary read. While the subject matter is of immense importance to understanding Western civilization, rarely have I seen this topic addressed with the breadth represented here. Vishal references competing "truth claims" and discusses their inadequacies for providing hope for a world engaged in ever increasing upheaval. I'm persuaded that reading this book will become an important part of the Christian university curriculum." "Vishal’s book is one of a kind; vast in scope, penetrating in its depth, prophetic in its message, yet easy to read. If we fail to listen and recover the importance of the Bible in personal and public life, then the sun may set on the West. This book is a tract for our times and a must read for anyone concerned with impacting our culture." Please join www.RevelationMovement.com and become a regular donor to make it possible for us to make a weekly video for YouTube.